They say real men wear tights and if this is true, we can safely say that Anderson Silva is a real man. 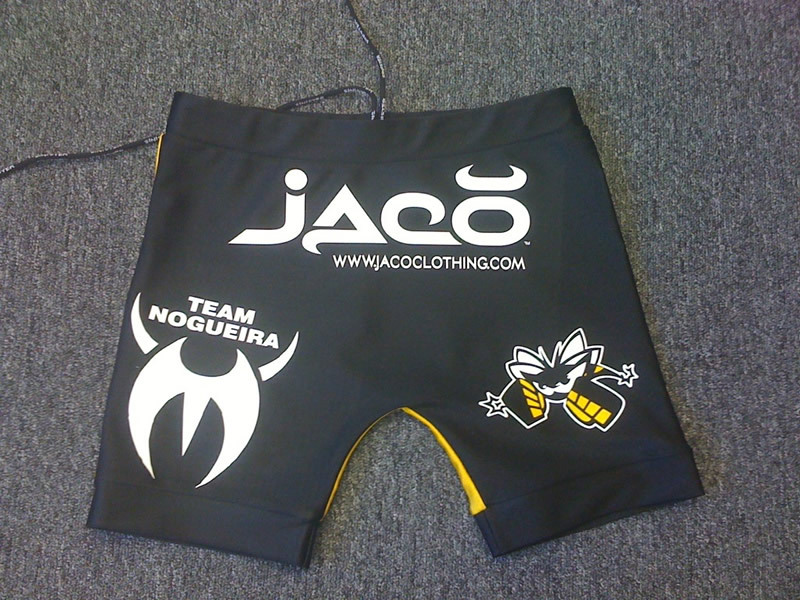 We’ve been waiting for JACO to release a pair of Vale Tudo shorts and I guess our prayers have been answered.. sorta. Ryan Loco from JACO did state that the VT shorts are coming soon though. I’m seriously looking forward to wearing a pair of JACO Vale Tudo shorts to the gym even if I know my training partners won’t appreciate that very much.